The fish hit the fan the other day with the publication the New York Times article regarding the risk of mercury in tuna, which I covered in my entry Some More Mercury With Your Tuna? But was it junk science? Or was it something that needed to be said? Rebuttals came swiftly, and among them, two stand out particularly in the melee. The Center for Consumer Freedom and the National Fisheries Institute both released the hounds and took the author to task over the research methodology as well as the conclusions, countering that the story may not have been as accurate as the author would like us to believe. I am not so sure that I agree, but I reprint their comments for your perusal, and I encourage all my readers to scroll down to the conclusion of this entry for my perspective on the whole matter, which frankly, has become a beast that needs to be addressed. reality, the highest-mercury sample reported by the Times (1.4 ppm) contains less than one-seventh the amount of mercury that might be a cause for health concern. 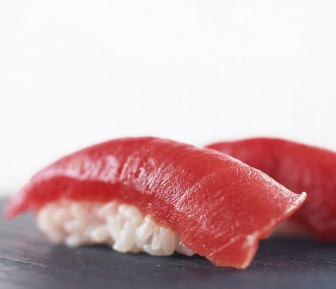 The Times mistakenly claimed that consumers eating a fixed number of pieces of sushi tuna will “reach what the Environmental Protection Agency calls its weekly reference dose.” In fact, EPA writes that “reference doses” are meant to identify levels that are “likely to be without an appreciable risk of deleterious effects during a lifetime.” By definition, it’s not possible for anyone to exceed a reference dose with a single week’s worth of exposure. The Times also omitted information about safety margins built into the EPA’s mercury reference dose. Like the FDA’s Action Level, that reference dose incorporates a ten-fold safety factor. In the example of the highest-mercury sample identified by the Times, a consumer would actually have to eat 26 pieces per week—over an entire lifetime—before accumulating the lowest level of mercury in his or her body associated with adverse health effects in scientific studies. The Times wrote that “mercury enters the environment as an industrial pollutant.” In fact, virtually all the mercury in tuna (an ocean fish) enters the environment naturally through undersea volcanic activity. The Times wrote that “methylmercury [is] the form of mercury found in fish tied to health problems.” In reality, the medical literature contains no documented cases of mercury toxicity from eating fish in the United States; the only cases recorded anywhere occurred more than 40 years ago in Japan as the result of an industrial spill. offset many of the concerns raised. Despite the availability of well regarded, independent, objective laboratories Burros chose to have her Sushi samples tested by Dr. Michael Gochfeld. As part of his own work Gochfeld treats patients for issues related to mercury. Because Gochfeld’s research and practice stands to benefit from alarmist stories about mercury he should not be considered an objective clinician in this case. Kate Mahaffey from the EPA tells readers that a rise in blood mercury levels in this country “appears” to be related to Americans eating fish that are higher in mercury. This is pure speculation and is in fact refuted by the latest consumption data that shows lower mercury seafood like shrimp, salmon and tilapia are some of the most popular. Environmental Defense is a political activist group with scant expertise in the medical science of food consumption. Burros omits mention of their fundraising agenda, instead describing them disingenuously as “work[ing]…to improve human health.” Yet, the “advice” they offer is at odds with what every major medical, health and government agency has publicly recommended. Throughout the article there is a sensational mischaracterization of the RfD (reference dose). Burros suggests that people who eat a certain number of pieces of sushi are at risk of exceeding EPA’s reference dose level. It does not mention that those guidelines are based on consumption over one’s entire lifetime and not merely a certain number of days or weeks. Nor does it mention the built in ten-fold safety factor. In mentioning the levels of mercury found in the samples tested Burros fails to explain that the FDA’s “Action Level” is a calculated estimate that also includes a ten-fold safety factor. I am a skeptical person by nature. I normally dig deeply into things that interest me (sushi obsession anyone?) and have a fairly analytical mind. I like to think that I won’t be swayed either way by articles and press releases of this nature, however it is sometimes easy to get caught up in things. A day before the NYT article came out I had made plans to dine with six of my co-workers next week, taking them to one of my favorite sushi restaurants (which was one of those on the list). When the Times article was published, I was still game, but morale was low so we made reservations at a different type of restaurant. Oh well. But I have two goals with this missive, to encourage people to understand the context of these articles as well as raise awareness regarding what might be a safety issue in our favorite food. The New York Times has a vested interest in publishing articles that get everyone all fired up. Sensationalism sells papers (and subsequently advertising space), while keeping the reader engaged and discussing the fear du jour. On the other hand, the National Fisheries Institute and the Center for Consumer Freedom are both organizations with deep ties to the restaurant and seafood industry, and themselves have a vested interest in keeping people eating fish. It would seem, on the surface, that not much has really changed. We always knew that there was mercury in fish, and more in the larger predatory fish than the smaller fish down the food chain. Pregnant women and children have always been asked to avoid these fish, and others to consume them in moderation. So what is the real story? The claim is that the “action level” set by the FDA for methylmercury “was established to limit consumers’ methyl mercury exposure to levels 10 times lower than the lowest levels associated with adverse effects.” The “action level” was set in the 1970’s and does not define any safe level of methylmercury consumption. The “action level” is merely a legal term which defines the contamination (greater than 1 part per million in this case) at which a food item can be said to be contaminated enough to be removed from the market. Apparently, the action level was originally intended to be 0.5 parts per million, however a lawsuit was filed by the U.S. fishing industry claiming that the economic impact of setting the level at 0.5 would be devastating for the fishing industry, and as it happened, it seems that profits have trumped safety as a Judge ruled in favor of the fishing industry and the level was raised. The FDA has not declared and safe dosage of methylmercury as, in fact, the consumption of any methylmercury is actually unsafe, however due to it’s prevalence in our environment, it cannot be entirely avoided. The Environmental Protection Agency does list a reference dose which measures an amount consumed (rather than contained in a food), which is 0.1 micrograms per kilogram of body weight per day. If one were to use this measure, a person who weighs 130 pounds (60 kilos) could consume 42 micrograms of mercury per week (0.1 ug/kg/day x 60 kg x 7 days) and stay within the EPA’s “presumed safe” limit. By consuming 4 oz of the tuna the NY Times had analyzed, one would exceed that ‘safe’ level and consume 48 ug of mercury in that week. And it’s not just tuna, 16 ounces of swordfish would contain 480 ug of mercury, which is greater than 11 times the EPA’s presumed safe level. The CCF claims that “By definition, it’s not possible for anyone to exceed a reference dose with a single week’s worth of exposure.” Not true, as indicated above, and even a single can or tuna fish has approximately 65 ug of mercury, which is more than the weekly reference dose suggested by the EPA. The DDF states “Like the FDA’s Action Level, that reference dose incorporates a ten-fold safety factor. In the example of the highest-mercury sample identified by the Times, a consumer would actually have to eat 26 pieces per week—over an entire lifetime.” Again, there really is no safe dose of methylmercury, and the levels also have to be put in perspective. While a few micrograms of mercury may not be as harmful to a fully grown adult, the risk to the fetus of a pregnant woman, for example, is much greater. Methylercury causes brain damage, and a developing fetus is particularly at risk from any environmental contamination. From my perspective, I feel the same way about sushi (and tuna) that I did three days ago, and I am not going to be the veritable headless chicken and run for the hills based on an article. But what this article has done is bring more attention to the danger of mercury in our food supply, and that is very real. Seafood has been touted for its health benefits, and this is still the case. The Omega-3 fatty acids contained in seafood are considered the good fats, and are heart-friendly. One does not need to eat tuna, however to achieve these benefits, there are plenty of fish in the sea (sorry about that) and a paper by the ocean conservation group Oceana, “Hold The Mercury: How Consumers Can Avoid Mercury When Buying Fish“, outlines the diverse ways to reap the benefits of seafood varieties while avoiding fish with higher mercury content. Interestingly, Japan has entirely refused to take any action because of the NYT article as “The newspaper is exaggerating the risk,” according to Teruo Tagaki, the chief of the Fisheries Agency’s products safety office. Japan has always had closer cultural ties to the sea, and seafood is a significant influence in the traditional Japanese diet. Personally, I don’t think I’d like to eat any amount of mercury, but then again, every time I go swimming in the ocean I drink it down, so what’s a piece of fish? I also avoid tuna as the species is in danger from serious over fishing. But, what I’m trying to say it to use your own judgment, if you feel you should avoid the risk entirely, by all means, do so. Sensationalism sells papers, even if it’s true. But for me, a great sushi meal is sensational, and I’ll still be going out for sushi as much as I can manage. I’m not too freaked out by the mercury news. In fact, it’s all rather old news in essence. In any case, the Japanese are incredibly healthy people despite or because of their fish-heavy diet. In the end, the only thing that truly limits my sushi consumption is my paltry budget.